From movies to smartphones, hyping up something big and new can lead to either a cult following or an angry mob upon release. Advertisements, word of mouth and news reports regurgitate rumors and stories of “the next big thing,” but what happens when the product reaches consumers? For some, the anticipation adds to the experience. For others, all the excitement evolved into a Star Wars film or a new iPhone that just didn’t live up to expectations. If you classify yourself as an automotive enthusiast, then you likely didn’t go a day in the last year without hearing news and rumors about the Ford Focus RS coming to the United States. We got our hands on mountune USA’s Nitrous Blue Ford Focus RS to test it in both factory trim and with mountune’s B5 Package to answer the question: Does the Ford Focus RS live up to the hype? Ford figured out the formula to making the automotive community in the United States obsess over the Focus RS a full year before the car would hit dealerships. First, produce a performance vehicle that is only available in foreign countries, let it gain popularity overseas for a decade, and then finally make the car available in the states when the auto enthusiasts are to the point of getting down on their knees begging for it. But really, can you blame them? Every news piece published about the 2016 model prior to its release unveiled information that made the car sound even better. 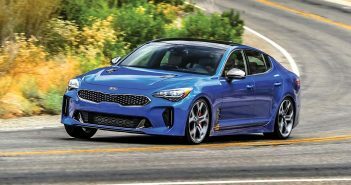 Take a look at the list of features and it becomes easy to see why gearheads won’t stop talking about it: 350hp, 350 lb-ft of torque, all-wheel-drive, Brembo brakes and a special drift mode, all with a $35,900 price tag. What’s not to like? The whole package looks great on paper, so when mountune offered its Focus RS for us to take a test drive, we had to take the opportunity. When you first set foot inside the Focus RS, you might find yourself a little underwhelmed. At first glance, stepping out of a Focus ST and into the Focus RS reveals very little difference in interiors between the two. The “RS” letters appear on the seats, blue stitching on the interior match the car’s exterior, but not much else about the inside screams for attention. But then again, why should it? The emphasis on a car like this resides more in the driving experience than carbon fiber panels and hand-stitched leather. The Focus RS gives a real sense of its intentions when you actually start driving it. The controls feel solid and precise, albeit a little heavier than most cars. The steering gives ample feedback, especially with its 720-degree end-to-end range. The pedals and shifter aren’t light, but not so heavy and clunky to be a bother in stop-and-go traffic. 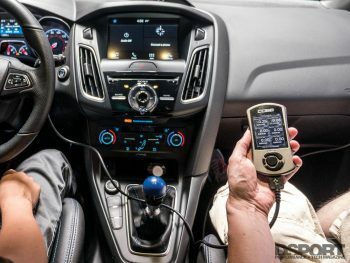 Essentially, these controls at your feet and fingertips provide the feeling that the car pleads to be driven with some extra zeal. 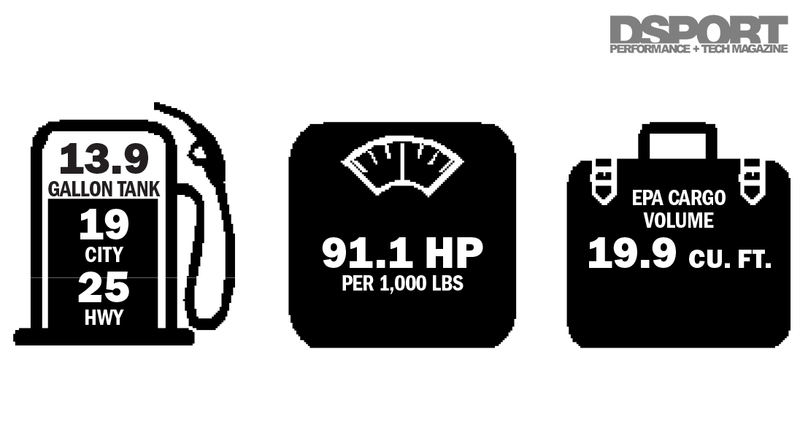 When you give the car what it wants, it gives back with strong acceleration and excellent stability through corners. In quick turns, the Focus RS hangs onto the pavement with little body roll, gliding into and out of road bends effortlessly. Although the chassis and suspension blast the car through twists and turns like a tube-frame racecar, the Focus RS handles bumps and potholes like a comfortable commuter. Staying true to the power curves that we’ve witnessed in the recent Fiesta ST and Focus ST, the Focus RS carries enough torque to bring it up through the RPMs and into boost range without hesitation. 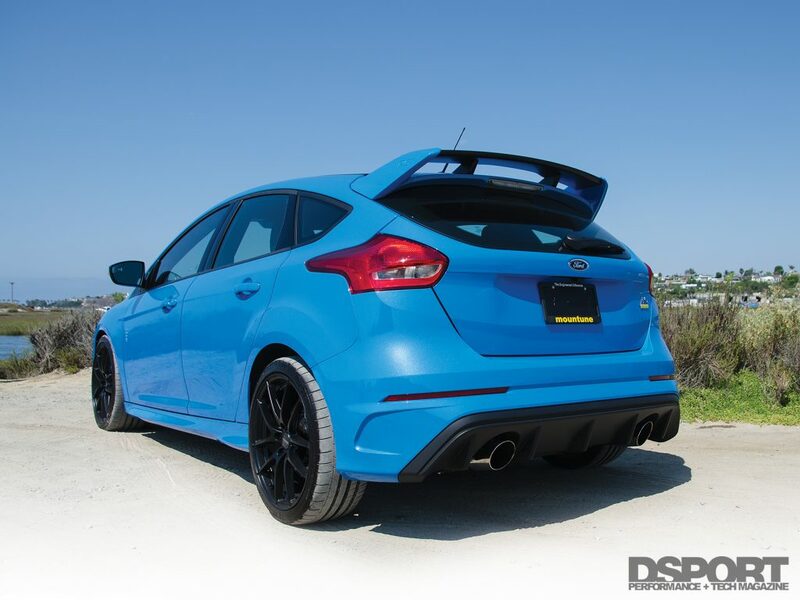 We strapped the car on the DSPORT Dynojet dynamometer to prove exactly what numbers the Focus RS could produce. 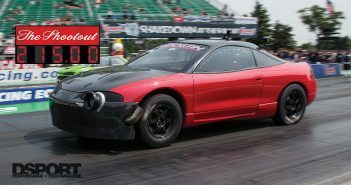 After a few pulls, the car spun the rollers to 295whp and 324 lb-ft of torque at the wheels. These numbers are definitely not bad for the price. 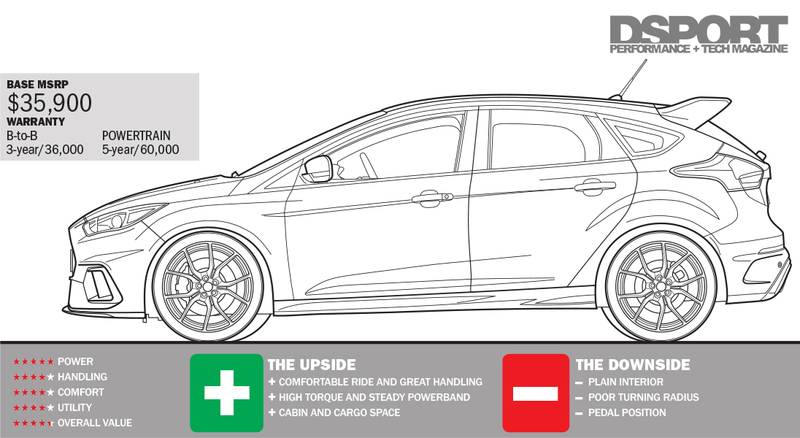 After we evaluated the Focus RS in factory trim, the mountune engineers equipped the car with the B5 Package, designed to further liven up the car’s performance with simple bolt-on components. 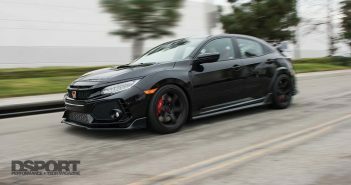 This kit utilizes a high flow intake, air recirculation valve, intercooler charge pipe kit, roll restrictor and Cobb’s Accessport V3 ECU upgrade with mountune’s custom calibration. 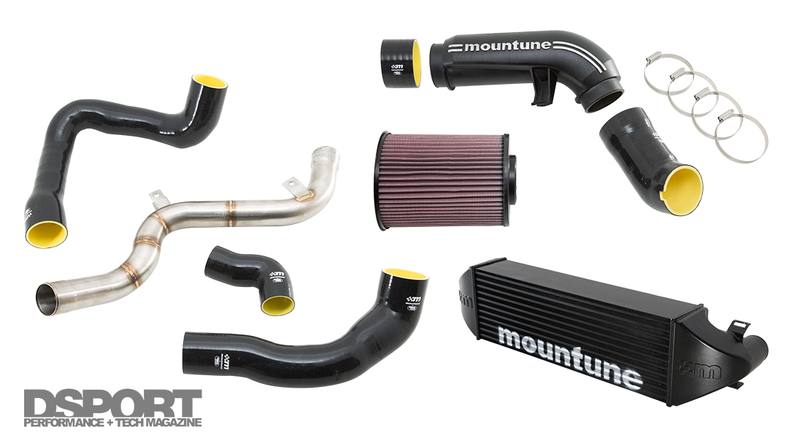 Mountune also equipped the car with its optional intercooler and quick shift to add to the benefits. Beyond the power advantages, mountune includes programming options like launch control customization, flat foot shifting, ethanol support, gear-based torque limiting and more. With the Focus RS equipped with the B5 Package, intercooler and quick shift, we took to the streets once again. Mountune’s B5 Package kept the car plenty tame while cruising around in casual driving settings. However, flooring the throttle and spooling the engine up to 4,500 RPM woke up a new monster under the hood. Once past this threshold, the engine wound up instantly, begging for the driver to grab the next gear. The Focus RS already delivered satisfying power in factory trim, however, the addition of mountune’s B5 Package stepped up the fun factor even more. This kit undoubtedly beefed up the car’s performance from the perspective of the driver’s seat. It was then time to find out what hard numbers would be revealed on the dyno. After several more pulls, equipped with mountune’s B5 Package and tune, the Focus RS laid down 315whp and 382 lb-ft of torque at the wheels. 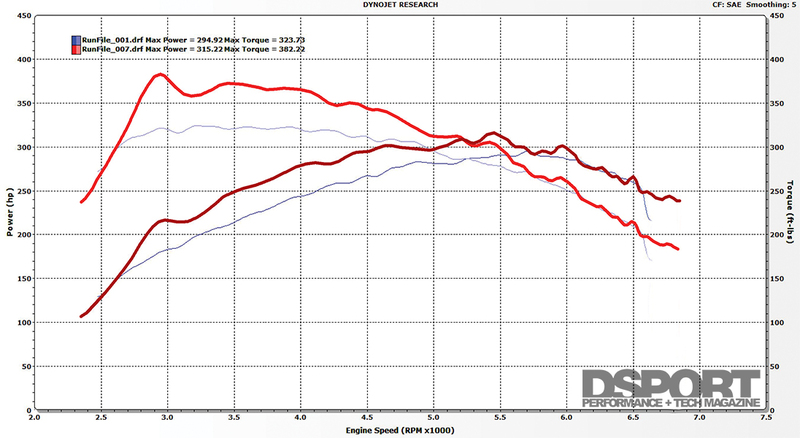 This proved a 20whp and 58 lb-ft gain over the factory numbers. 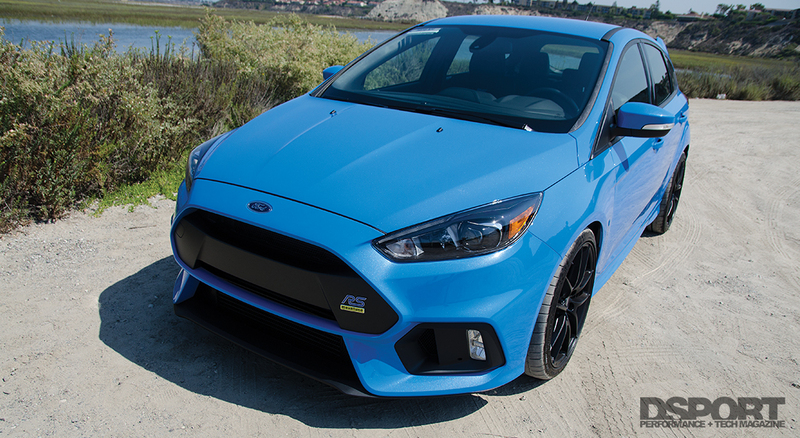 We can finally say with certainty that yes, the 2016 Ford Focus RS lives up to the hype. Considering the car’s price point and the performance that it delivers, there’s a lot of bang-for-your-buck potential. The car’s appeal is further strengthened by the fact that mountune already offers numerous power-making solutions to further enhance the Focus RS’s performance. 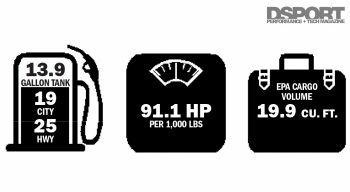 In our evaluation with the B5 Package, we found significant power gains on the dyno and an exciting experience from the driver’s seat. Be on the lookout for what the aftermarket has in store for the Focus RS, as things are only getting started for this powerful new platform. EPA Cargo Volume: 19.9 cu. ft. Considering the Focus RS’s power output and handling capabilities, the car delivers better practicality than most would expect.